When you first think of aged care homes, perhaps Interior Design doesn’t immediately spring to mind. But the melodic weave between beautiful spaces and aged care safety requirements doesn’t happen on its own. That’s where aged care interior design comes in. It’s the difference between clinical-feeling ‘facilities’ and welcoming, homely retreats. We’ve received our fair share of design questions over the past 25 years. 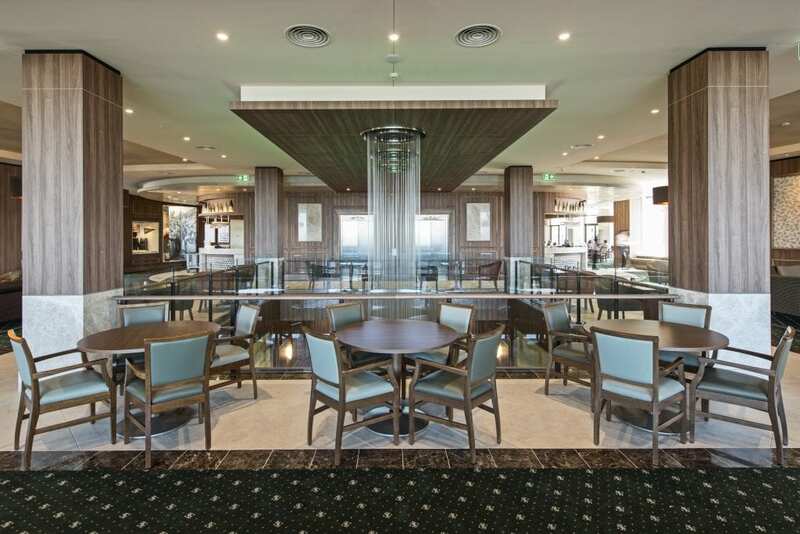 So we thought it was time to share key insights into the aged care interior design space. Here are our top picks for important things to know before embarking on your aged care interior design project. Aged care spaces require clear navigational markers to comfort and guide residents. For example, those living with dementia experience impaired spatial learning and memories which can become distressing. 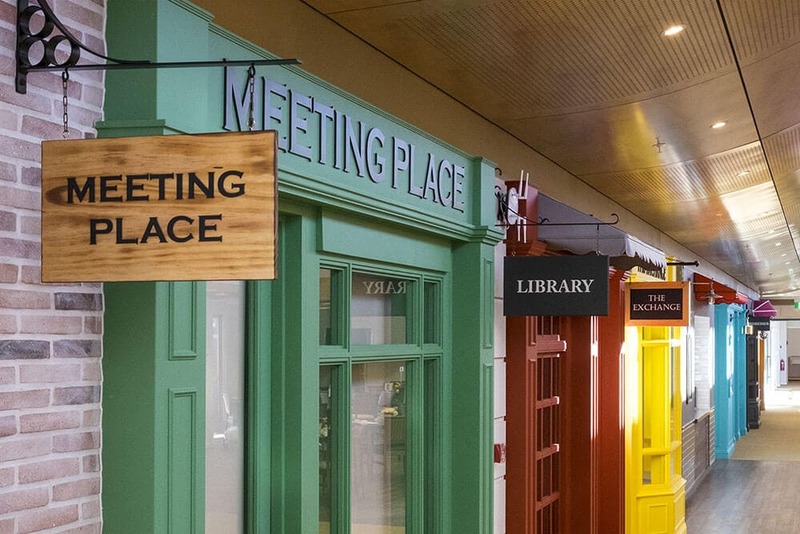 In a qualitative study by Bournemouth University, ‘All the Corridors Look the Same,’ it’s noted that signage plays a significant factor in supportive orientation – and aids to remedy confusion. As seen in our Dudley Foord House project with Anglicare, signage styles can also offer a familiar, comforting feel. Markers that complement spaces while serving an important purpose gets two ticks from us. Selecting the right fixtures, fittings and finishing touches within aged care facilities is key. An experienced and creative interior designer will always consider user-friendly aspects of the finalised project. The stark, white-wash lighting of hospices have no place in aged care interior design today. Yes, older eyes require different levels of lighting and lighting conditions. But we wholeheartedly believe that responsive interior environments are best used to enhance quality of life and make for positive human experiences within spaces. 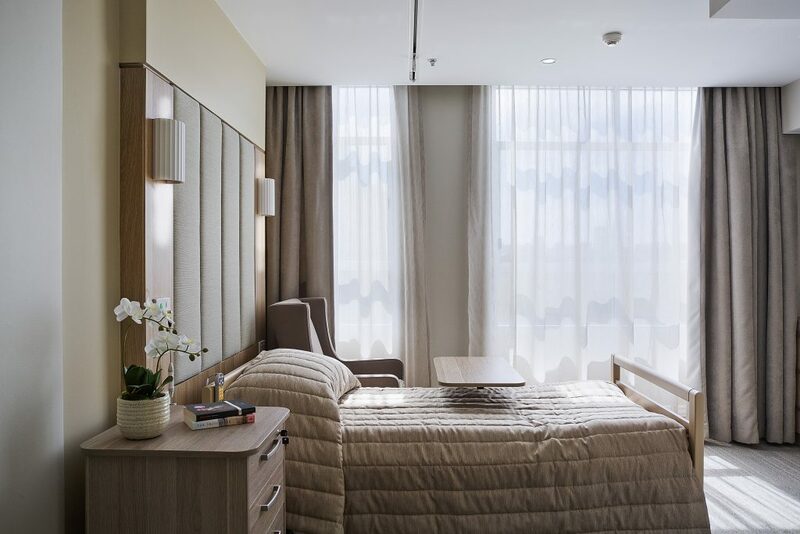 That’s why integrating homely light fittings with ergonomically-precise lighting levels help to create functional yet appealing spaces within aged care homes. In aged care homes, flooring requires close attention to detail. Safety requirements must be met, but we also see style as important. It’s the finer details, like ensuring carpets aren’t too thick for impaired walking. And that slip-resistant flooring, joins and materials are the perfect fit for the specific area. Perception alterations in aged care residents means deliberate colour contrast is of great importance in the interior design space. A thoughtful balance between aesthetics and practicality. 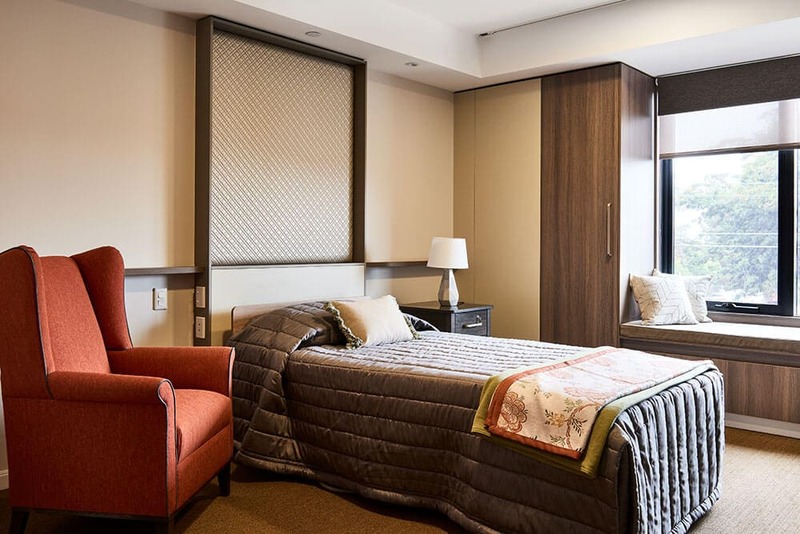 At Gilmore Interior Design, our concepts are deeply inspired by the residents living at the aged care homes. Because of this, it is important to develop a look and feel that gives a high-spirited, positive ambiance. Introducing flow and aesthetic differentiators between spaces works to create a warm and welcoming atmosphere. Intergenerational aspects are areas where residents can connect with visitors, no matter their age. Further, lifestyle facilities provide a healthy, accommodating environment available to the whole neighbourhood. By integrating facilities available to the public within aged care homes, a new feel of community spirit flourishes. A good example of the two combining is Narrabeen’s New Anzac Village. This included a wildlife centre, cafe and childcare facility to connect visitors, residents and the public. It’s a good idea to engage an interior designer early on in any new project since acoustics rely heavily on structural elements. For aged care, reduced noise allows residents to enjoy a more harmonious home environment. At Gilmore Interior Design, we team creativity with exceptional design elements for seamless acoustic management integration. Stylish furniture looks good. But stylish, physiologically considered furniture is better. 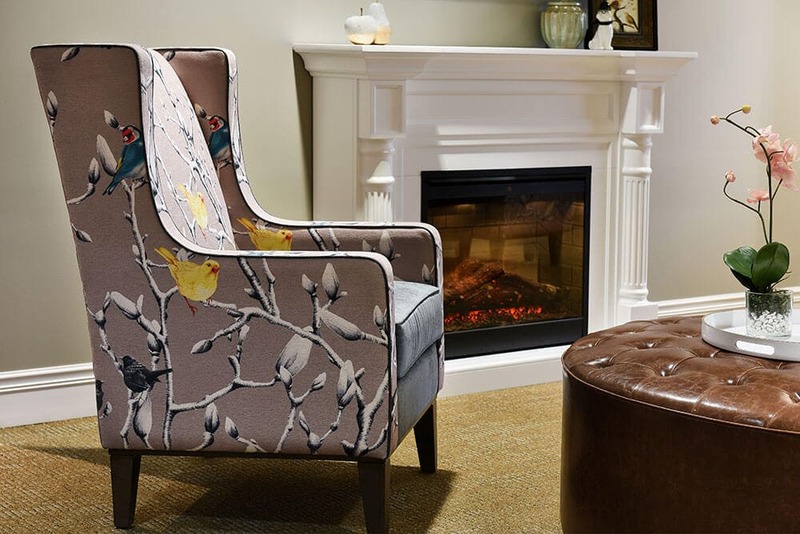 Aged care interior design requires an expert touch to seamlessly combine style and functionality. 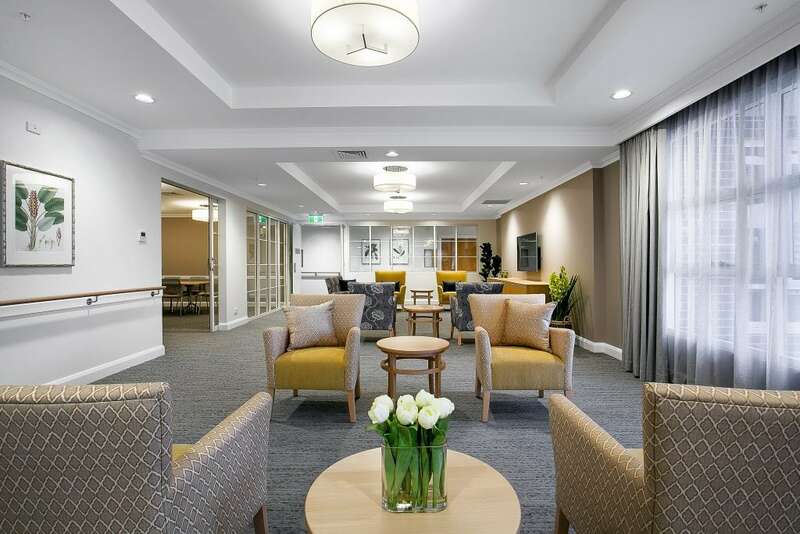 Inviting, homely designs create a more enriching, comfortable and familiar environment for aged care residents. Combining the functionality of clinical aged care facilities with the style and aesthetics of luxe retreats, is key for an enjoyable aged care community. With over 25 years in the industry, at Gilmore Interior Design we believe in the power of excellence. Within the aged care space of interior design, we’re committed to creativity, backed by real-world problem solving. Contact our team to discuss all your aged care interior design needs today.